For further information visitmoreland.vic.gov.au or call Council on 9240 1111. 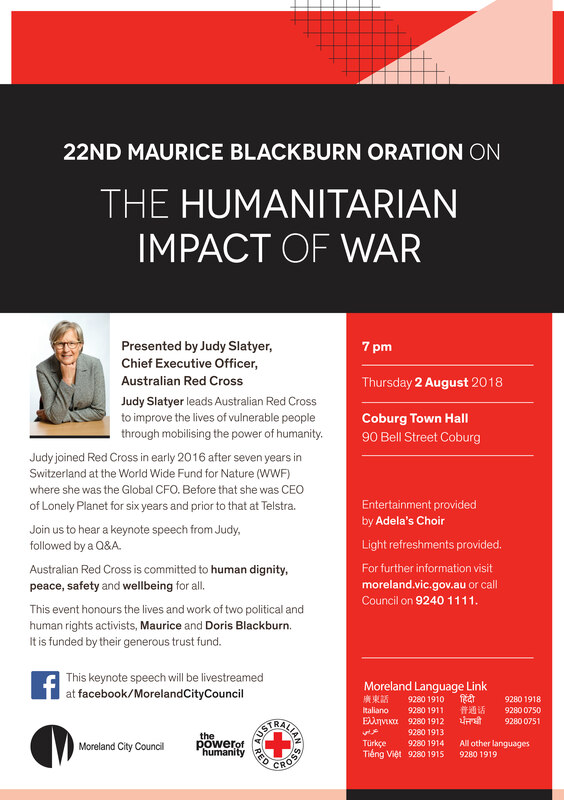 Judy Slatyer leads Australian Red Cross to improve the lives of vulnerable people through mobilising the power of humanity. Judy joined Red Cross in early 2016 after seven years in Switzerland at the World Wide Fund for Nature (WWF) where she was the Global CFO. Before that she was CEO of Lonely Planet for six years and prior to that at Telstra. Join us to hear a keynote speech from Judy, followed by a Q&A. The introductory speaker is Carolyn Rasmussen, biographer of Doris Blackburn who was also a parliamentarian and a peace activist. Australian Red Cross is committed to human dignity, peace, safety and wellbeing for all. 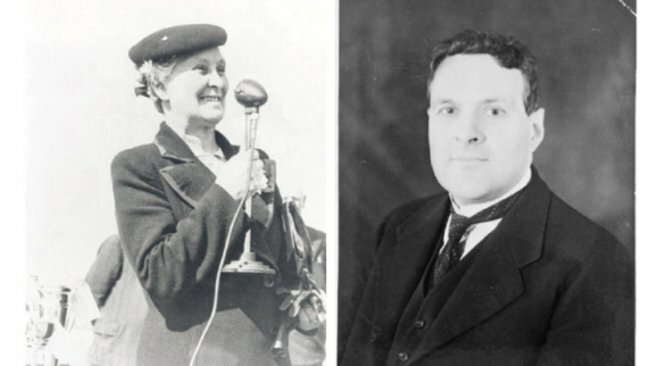 This event honours the lives and work of two political and human rights activists, Maurice and Doris Blackburn. It is funded by their generous trust fund.